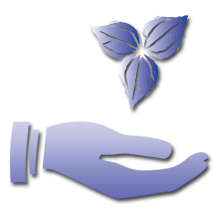 living in a limited support situation as a complement to a hospice agency. living with an elderly or infirm partner whose own condition prevents them from being able to provide appropriate care. whose partners are unable of caring for their loved one at home during their time in hospice. Any person enrolled in a certified hospice program or who would qualify for hospice care is eligible to live at Trillium House. 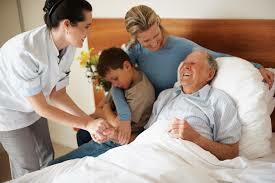 The Medicare and Medicaid programs provide a hospice benefit as do some private insurances. This benefit includes covering some equipment and prescription costs. Hospice caregivers help control pain and symptoms so residents can live each day more comfortably and with dignity. Residents and their families receive individualized care that addresses their physical, emotional, spiritual, psychological and social needs. We receive no federal or state funds – such as Medicare or Medicaid. We rely solely on Resident fees and donations to ensure we will be a home for all of us for as long as we are needed. It costs about $420,000 for Trillium House to operate 24 hours a day, 365-days-a-year. Our greatest costs are the wages and expenses related to our incredible staff and caregivers. Trillium House currently charges a fee of $260 per day. We feel that this is a very reasonable fee to ensure Residents are safe and comfortable at the end of life.